There's an important difference between the words "weather" and "climate." 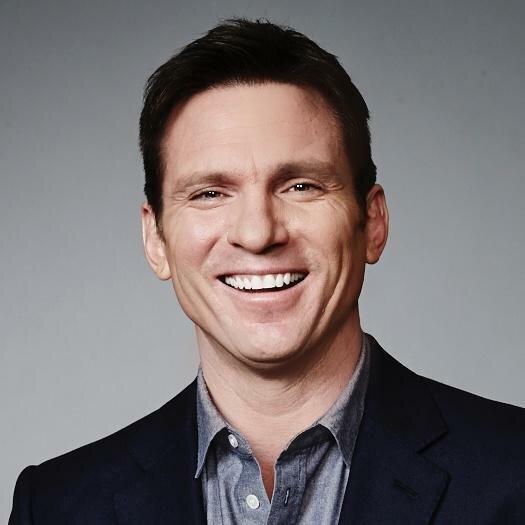 CNN's Bill Weir became my hero yesterday. 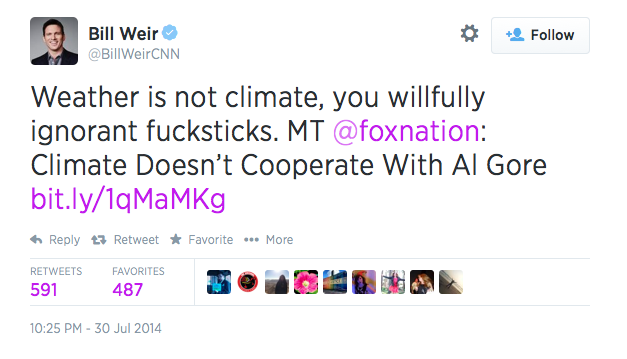 In case you missed it, Weir tweeted (NSFW: see below!) in response to an article shared on Twitter from Fox Nation sourced from the Washington Post with a headline reading: "Climate Doesn't Cooperate with Al Gore's Group's Visit to Denver EPA Hearings." The problem with that headline – aside from the awkward double possessive there – is that, well, "climate" and "weather" are two different things – which is what Weir pointed out, albeit it with some more colorful language. In short – and keep in mind, I'm no scientist, but I do have experience with words and the meaning they have and the power they hold – "weather" reflects what we're currently experiencing, whereas "climate" denotes weather conditions prevailing in an area in general or over a period of time. That is, the fact that it's unseasonably cold one day in Denver during the summer doesn't mean climate change isn't real. So if you're making fun of someone showing up with ice cream, it really leaves you with yolk on your face. Let's just hope that CNN doesn't end up with yolk on its face by canning Weir for being opinionated – and right. Ben Speggen loves words and the way they shape and make meaning of the world around us. Climate change deniers and trolls aggravate him, but he's glad folks like Bill Weir have the balls to use their platforms to call them out. If you want to talk media, climate change, or more, you can contact him at bSpeggen@ErieReader.com and follow him on Twitter @ERBenSpeggen.